I wrote this post back in July 2014, and was inspired enough by one of "Weird Al" Yankovic's latest offerings to explore its implications for the church. Apparently this one struck enough of a nerve to make its way to the Christian Century blog, which was nice to see as well. The overall point of this post was to highlight one of the many ways we can be our own worst enemies in terms of trying to make difference the world, and I think it still holds up pretty well. Everyone has music that helps mark their childhood. The artists that one hears during those formative years tend to stick with us, evoking memories when the oldies are played and, while not always the case, we may be likely to follow a few of these throughout their careers, no matter what sorts of turns their musical styles take. Sometime in elementary school, I first heard "Weird Al" Yankovic's classic song "Eat It," a parody of Michael Jackson's "Beat It." A few years later, a friend lent me his copy of the album Even Worse, and I laughed so hard at some songs that I cried. That was all it took to make me a fan for life. A few weeks ago, "Weird Al" released his latest album, Mandatory Fun. As I've mentioned, I've worried with recent albums that I wouldn't be as familiar with the songs he parodies, as I tend not to listen to mainstream radio nearly as much as I used to. Fortunately, this hasn't often been the case, and the songs he's chosen to skewer on Mandatory Fun are popular enough that even I who have been wandering off the musical beaten path for years was able to join in on the fun. The song, much like most companies' actual mission statements, sounds impressive until you realize it doesn't really say anything. It's just a bunch of jargon that may in some real way describe a business' plan or purpose, but isn't really all that connected to what individuals and teams are doing. So, then, why would a business have a mission statement? Why would they bother to craft one, let alone hang it on posters and send it out on memos? There are any number of answers to that. For one, it makes people feel better about trying to name and communicate a group's purpose, whether anyone other than the task force that wrote it cares or not. For another, it's busywork; something that somebody can do and maybe feel productive. Or not. For still another, those who work on mission statements may earnestly be trying to describe what they see their company doing, or wish they would do. Getting individual employees to buy in to the particular descriptor is another task altogether. Which brings me to the church. For at least as long as I've been in ministry--and, I sense, much longer than that--church consultants have advocated for the borrowing of concepts from the world of business, including the construction of a mission statement. Entire denominations do it, as do many local congregations. Look on most church websites, letterhead, bulletins, and wherever else, and many have adopted this practice in one form or another. And because we're the church, we have our own set of buzzwords and jargon that may appear: "community," "hospitality," "reach," "serve," "discipleship," and on the list goes. The last church I served had such a mission statement, which was fairly long. But here's the thing: when I would ask people what it said, nobody could tell me. It was printed on the bulletin cover every week, full of lots of great concepts and churchy words, but nobody paid it any attention. We even underwent a process to revise it to a single sentence and shared the new statement with the congregation in multiple ways. Honestly, this happened near the tail end of my time there, so I can't say for sure whether the new one is being used. Where I am now, we have a lengthy mission statement that predates my pastorate by over a decade. It's even displayed on a lovely hand-carved wooden plaque. Do we use it? Does anyone pay it any mind? Not that I'm aware of. But it looks and sounds nice. Churches should have a sense of direction and purpose, that I certainly wouldn't argue against. Unfortunately, too many churches' purposes in practice seem to be, simply, "Survive." This manifests in endless preoccupation over the scarcity--real or perceived--of money and members; the congregation turns inward to protect itself, negating the chance of ever improving upon the situation it worries about. Does a church need a mission statement in order to change this sort of culture? In some contexts, perhaps. If presented right so as to effect buy-in from the congregation and subsequently hold itself accountable, this might be the right path for some. More often, however, a mission statement ends up being busywork that helps us feel like we're doing and saying something, with little follow-up after its creation other than having something new to put at the top of the newsletter. What I have found to be more effective is cultural change from within via pockets of committed people doing something that they're passionate about. Do you have a handful of folks itching to go help with a Habitat for Humanity build? How could their participation help fuel a greater commitment to service around the church? Do you have some people wondering about the changing neighborhood and how to engage those moving in? What would their getting together for regular conversation about that produce? Is there a group that can see some of the deficiencies in technology and potential for greater engagement in those trends for the church? How could they be empowered for that work, and how might it catch on over time? 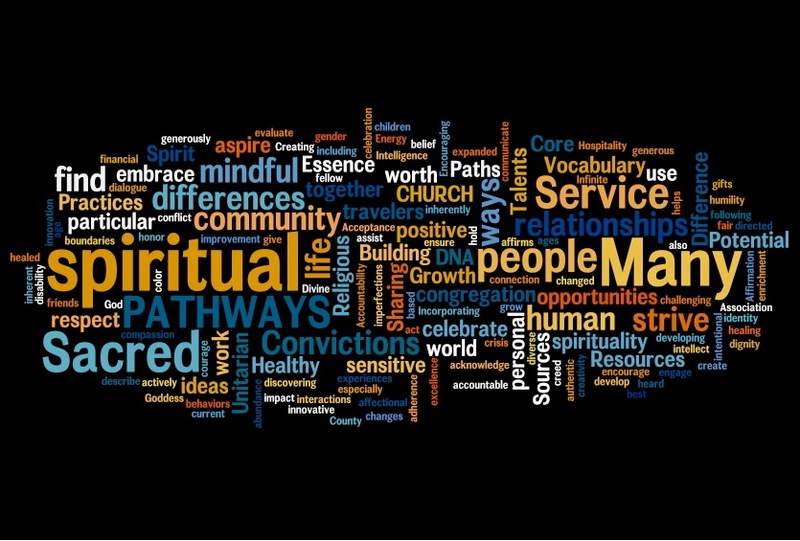 Church visioning begins with people, not buzzwords. Church culture changes via people who want to do something new getting others caught up in the excitement and possibility, not a statement about what you want to do. In fact, coming up with a catchy, sound, astute statement loaded with pretty, purposeful-sounding words might be distracting. Crafting a mission statement provides the illusion of doing something without actually doing much at all. What could we be doing instead?